A lot of people are satisfied with their lawn just looking good. Then there are some who like their lawn to look above average. Truth is it takes attention to your lawn to accomplish either. But there are steps you can take to maximize your lawns appearance. You can start in early Fall preparing it. But if you didn’t I will talk about how to prepare your lawn in early Spring. If you read any of my earlier post you probably heard me mention that a lawn needs our help. It needs to be able to get proper oxygen, nutrients & water to look its best. It will survive just being left to nature but a helping hand will make it look spectacular. There are a lot of people who are satisfied with the way their lawn looks with regular maintenance and they do look good I must say. But I know some people are not satisfied until their lawn looks that really healthy green with that healthy thick look. I have seen lawns that look great but with a little extra attention, they would be breathtaking as far as the color of the lawn and the thickness. How Can I Help My Lawn Thrive? Helping your lawn thrive means following what is proven to help lawns get 100% of what it needs. To do this you have to invest time & money. You can do it yourself or hire someone to do it for you. As an ordinary thinking person, you will be content with keeping it cut & serviced regularly which is one of the ways of helping your lawn look good & healthy. In fact, if you do nothing else this is something that must be done. All the other things nature will supply it with. The only thing is nature sometimes fall short as far as what it needs to look outstanding. In other words, nature will keep it alive but not always give your lawn that extra thing it needs to look outstanding. This is where you step in and help. This means you must help in providing your lawn nutrients, water & and a way for it to breath. Preparing a lawn means getting it cleaned up and ready. This means making sure it has what it needs to flourish. That means it needs the nutrients, which will be pulled from the soil. It also needs oxygen, which means you have to clear a way for it to breathe. What do you do when it needs nutrients? You fertilize. 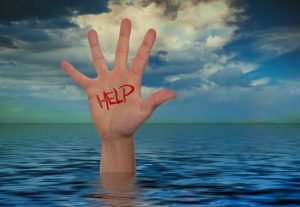 What do you do to help it get oxygen? You dethatch & aerate. Dethatching, Aerating & Fertilizing in the warm regions should be done in the late Spring or Early Summer while cool regions should actually be done in the early Fall or early Spring. So if you did not catch it in the Fall which is actually the best time for cool season grasses, you can make up for it in the early Spring but it has to be early. We are talking in the month of March. The Fall is actually the best time especially if you are going to aerate. But I feel dethatching you can make up for it if you missed the Fall. But make sure it is early Spring. What Is Dethatching & How? Dethatching is removing thatch build up in your lawn. 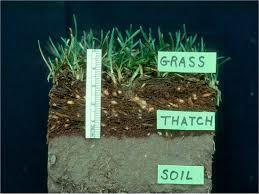 Thatch is a heavy layer of dead grass & live grass between the soil & grass blades. It will deprive your grass of the proper oxygen, nutrients, and water flow. So you will need to remove it if it gets too thick. Some thatch is actually good because it replenishes your lawn with nutrients but too much will choke it out sort of speaking. If it gets to be 1/2 inch to 3/4 inches between the soil & grass it needs to be done. There is equipment to help you remove thatch. If you have a very small yard you can use a dethatching rake to pull it up. But make no mistake, using a dethatch rake takes some work. This is why only use it if you have a small space to dethatch. If you have a larger yard you can use a tow behind dethatcher which is used with the riding mower. If you do your own lawn you can purchase it by Clicking Here. 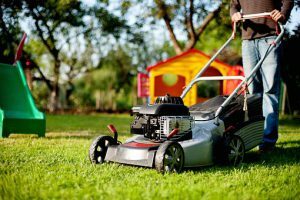 If you don’t have a riding mower you can use a local lawn care service instead. They both will pull up the excess dethatch and you just clean it up after you loosen it up. 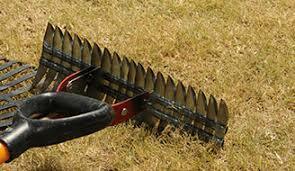 This will open up your lawn so that it can get the proper water, oxygen and nutrients it deserves. 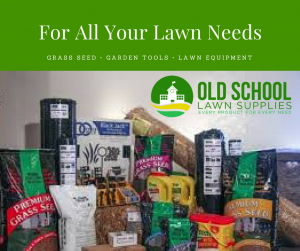 If you have a riding mower and you think you want to aerate your lawn as well Click Here to get the aeration and dethatcher combo. When dethatching your lawn it is wise to mow it down about 1/2 way from its normal cutting height. So if you cut your lawn at 3 inches take it down to 1 1/2 inches. This will really open up the airway to the soil & lays the groundwork for other things that will help you prepare your lawn. Since you are playing catch up in the early Spring it would not hurt to give it another push. 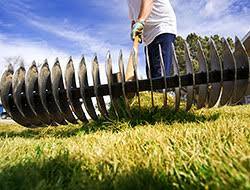 You will have already cut your lawn low, dethatched it and both are what is done when you want to plant some seed. This will give the seed good contact with the soil which results in good seed germination. But because planting really should be done in the Fall it would not hurt to overseed it. But also think about the fact that in order for your seed to grow well it needs the nutrients so fertilizing would not hurt the cause. Thus, fertilize your soil before planting. It will help give it that Nitrogen it needs to supply your new planting. 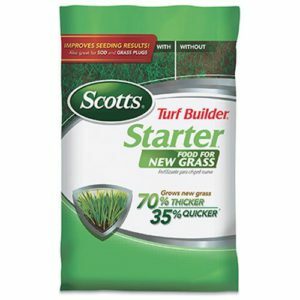 Use a starter fertilizer at this point because it will be a new seed that you are helping. If you don’t know what kind of seed to plant Click Here for a guide or ask your local home improvement store like a Lowes or Home Depot to assist you. And after all of that, make sure it gets plenty of water and you should be on your way to a lawn like you never would have imagined it. Here at Old School Lawn Service we like to let people know what goes on with their lawn and would help it. I hope that we supplied you with some good knowledge about helping your lawn look its best. Thank you for taking the time out to visit us and if you have any questions or comments please leave them below. We will elaborate on each one because it broadens the knowledge base of everyone who stops in.